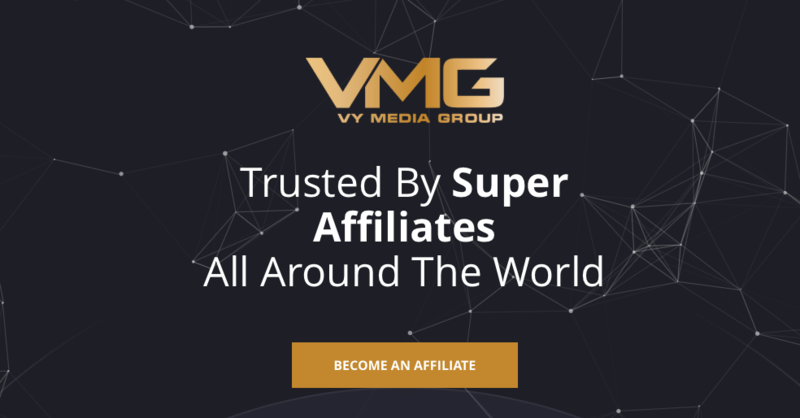 Vy Media Group also known as VMG Network was founded by a Super Affiliate for Super Affiliates. The founder Tuan Vy has spent the past several years in the Affiliate Marketing trenches as a successful Media Buyer and Network owner and knows first hand what it takes to succeed in this industry. Bridging his relationships and connections into one platform both on the Affiliate side and Advertiser side has proven to be a successful venture. VMG is the most sought after Performance Network in the Dating Vertical. We also cater exclusively with hand selected offers in all the other major verticals in the space and have been rapidly expanding strategically. With so many Networks and Affiliates to choose from nowadays we here at VMG have a different approach to business which is to remain extremely high quality and boutique. This ensures that availability to the highest converting offers remain accessible to our Affiliate base as well as greatly improving the lead quality and Return On Investment for our Advertisers. We only want to work with the best. At Vy Media Group we strive for excellence and professionalism and with a proven track record we will greatly contribute to your business success and growth overall. We look forward to serving you and providing value here at Vy Media Group.